Capacity 300 containers per minute. Micro processor Control unit with LCD Display. Full Pharmaceutical security package system. Imported Gear Motor & Gear Box for Conveyor and Pressing unit. Finished product can be discharge automatically on packing table or cartooning machine. Command in LCD display allows choosing Automatic & Manual operation. 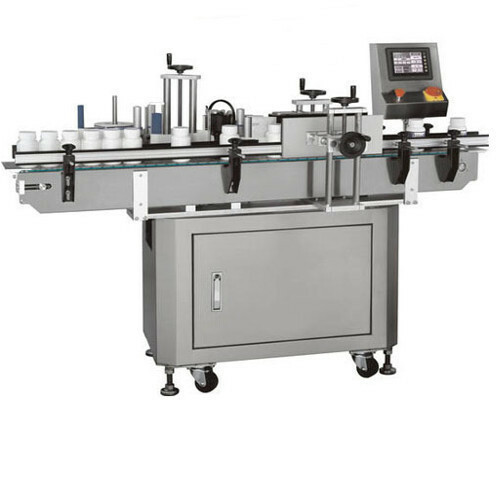 Established in the year 2010 at Ahmedabad (Gujarat, India), We “Om Group Industries” are firm affianced in manufacturing and wholesaling highly durable array of Liquid Filling Machine, Powder Filling Machine, Capping And Sealing Machine, Bottle Labeling Machine, etc. We offer these products at reasonable prices and deliver these within the promised time-frame. Under the headship of “Mr. Kuldeep Patel” (CEO), we have been able to provide utmost satisfaction to our clients.